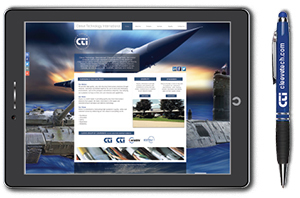 Cleeve Technology International is a high-tech, innovative global company with a high standard of excellence in the electrical interconnect sector of the aerospace and defence industries, worldwide. Graphic a la Design Services: Corporate branding, logo design, website design (including copywriting), social media and email campaigns, corporate brochures, hard and soft cover catalogues, sales sheets, custom wall and desk calendars, holiday cards, employee certificates, trade show booths and signage, pens, frisbees, business cards and stationary, templates for business applications, and on-the premise product photography. 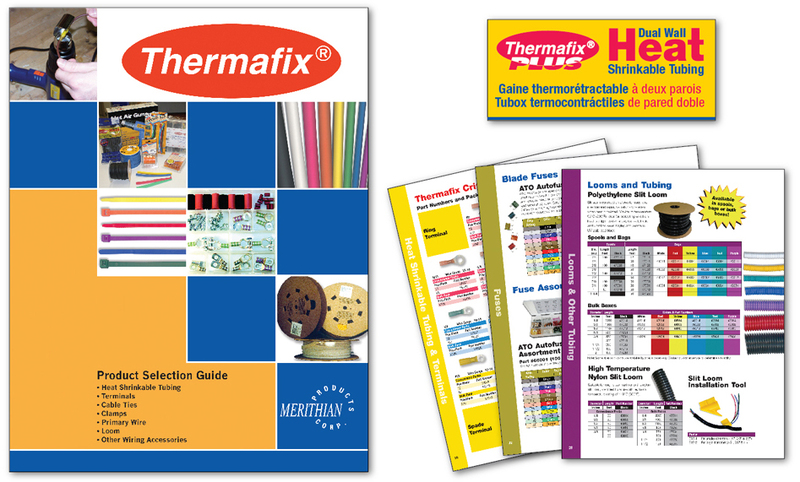 Merithian Product Corp. is your one stop shop for Maintenance & Repair Solutions. Graphic a la Design Services: Corporate catalogues, icons, product packing, presentation folders, advertisements, sales sheets, flyers, pop up banners and trade show signage. Graphic a la Design Services: Branding, corporate overview, annual report, stationary, press releases, website copywriting, marketing media and various size advertisements for trade magazines. 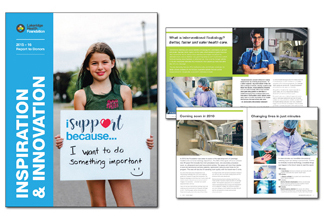 Supporting excellence in healthcare and inspires our community to advance healthcare in Durham Region. 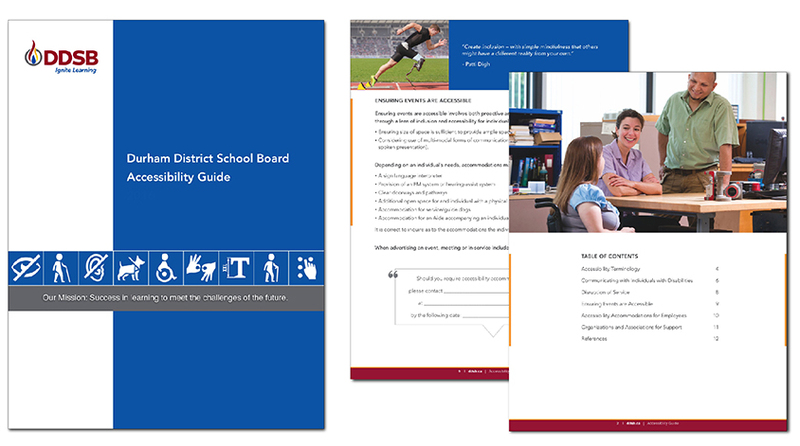 Durham District School Board is committed to identifying, removing, and preventing barriers for people with disabilities who work in, use or attend school board facilities and services. Graphic a la Design Services: Re-design the 12-page Accessibility Guide and 128-page Planning Student Achievement Companion. Durham District School Board recognizes the importance of partnership with parents and guardians in creating positive learning environments to ensure student achievement and well-being. 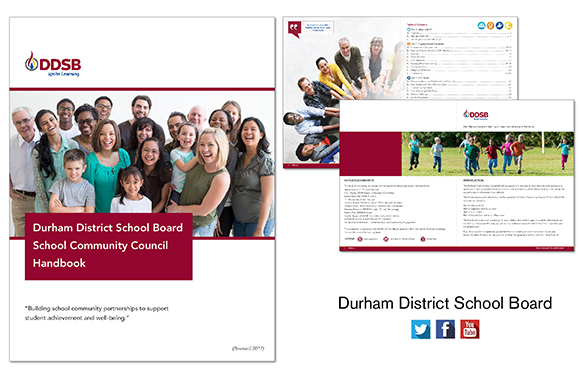 Graphic a la Design Services: Re-design the 52-page School Community Council Handbook with custom section icons, graphics and QR Codes. 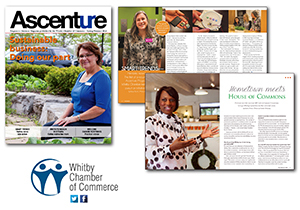 Whitby Chamber of Commerce Ascenture Business Magazine is a hybrid of ‘ascending venture,’ taking businesses to new heights. Graphic a la Design Services: Created the concept of accenting the UR to give ownership — it’s YOUR Ascending Venture. 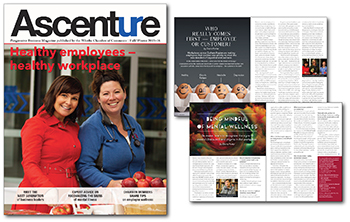 The magazine was a complete re-design including editorial concepts and layouts. The Oshawa United Services Remembrance Committee aims to raise awareness of the contribution to our freedom made by our sailors, soldiers, airmen and women and their loved ones. 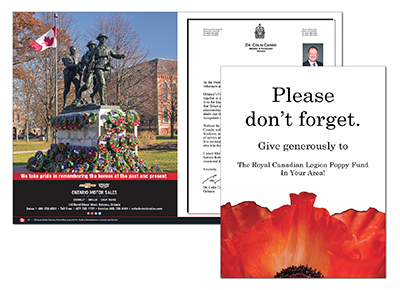 Graphic a la Design Services: Create branding and work with committee members and advertisers to compile the Festival of Remembrance Day Concert and Service souvenir program. Town of Whitby is committed to enhancing services for residents, investors, business owners and visitors. 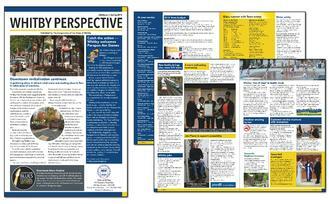 Graphic a la Design Services: Re-design Whitby Perspective, giving the 8-page newsletter a clean, contemporary look; making it both print and web accessible. 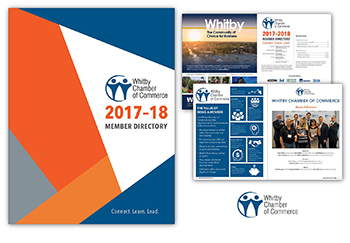 Whitby Chamber of Commerce Hot off the press! A professionally printed member directory is a tangible reminder of products and services offered within the membership. It encourages member interaction in an easy to stay in touch with format. Graphic a la Design Services: Design 40 Page member directory.